The Concrete Paving industry is producing work that results in durable and long-lasting projects. It is an even greater success when the work can also provide growth and substantial improvements to a community. 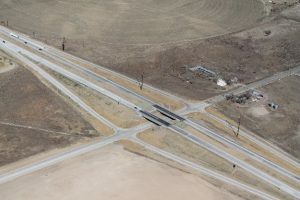 In 2013 CDOT partnered with, Castle Rock Construction Company (CRCC), as well as the City of Brush and Morgan County to complete a project that did just that. The project focused on the reconstruction of I-76 through the town of Brush, CO and resulted in improving the local infrastructure. CRCC provided materials and services for the paving as well as the plan for the new concrete roadway known as Hospital Road. Since Castle Rock Construction was already paving in the area, they partnered with the City of Brush to build the first concrete roadway in the town’s history. In the small town of Brush, both the hospital and the high school are located on this newly rebuilt road, both important to the town and served well by this long-term solution for Hospital Road. Castle Rock Construction created multiple mix designs focused on sustainability and smoothness. In addition to paving the durable concrete that replaced what was a deteriorating asphalt roadway, CRCC also installed drainage pipe, cut the grade to improve the profile and built curb and gutter improving the drainage of the area. The city hired a designer who relied on ACPA and CRCC for guidance and design. This road would serve as the “Gateway to Brush” for the people of Brush as well as the travelling public. In the end, the project accomplished the goals set forth by all parties involved and will be a great addition to the town of Brush for decades to come. 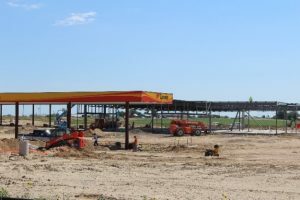 Love’s Truck stop is currently under construction at the SE corner of I-76 and Hospital Road Interchange. Construction of Love’s Truck Stop is currently in the beginning stages. While the concrete pavement industry certainly can’t take credit for all the exciting new development in the City of Brush, it is fair to say that projects like Hospital Road bring with them opportunities for new life within communities. For more information, please contact Angela Folkestad (afolkestad@pavement.com) or Jamie Johnson (jjohnson@pavement.com). 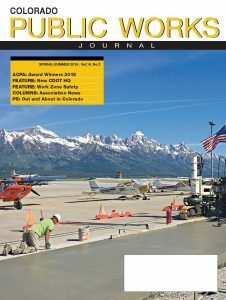 Congratulations to the Excellence in Concrete Pavement Award Winners! 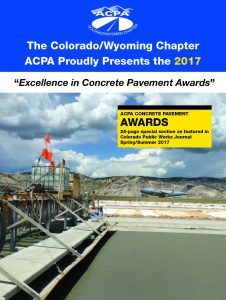 The CO/WY Chapter of ACPA presented their annual concrete pavement awards at the concrete pavement workshop on March 16, 2017, and the winning projects were recently published in the Colorado Public Works Journal. Congratulations to the winners, and we hope to see many of you as national award winners in San Diego this November! 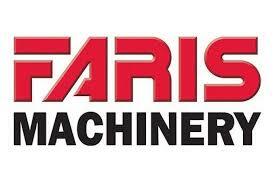 Thank you for attending the Workshop on March 16th! 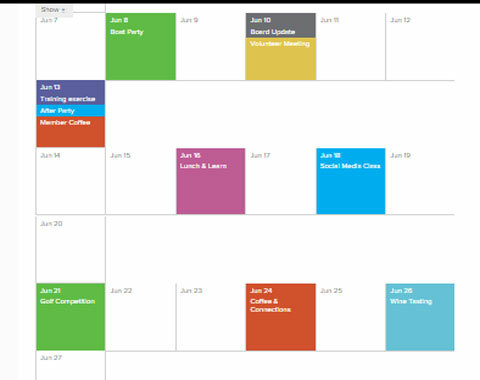 We look forward to seeing you next March. Denver Industrial Sales and Service Co. If you are interested in becoming a Sponsor or Exhibitor for the 2017 Workshop please use the link above to register or contact Emma Dolan at edolan@pavement.com.